It says much for the world wide recognition of Bebop Spoken Here that I receive as many discs for review from Europe and the USA as I do from UK (Scotland being a notable exception!) Such is the volume of transatlantic offerings that only a small percentage reach the page and I worry about the increased load the Boeing’s have to carry – not to mention my postman’s back! Fortunately, this one safely crossed the pond and up our street! The Yoruba of Western Nigeria, Africa, brought to Cuba their language, religious traditions, music, dance and divination system; all of which still prevails in Cuban daily life. iRESI is a Yoruba word that means the light of your soul; the lucky star on your shoulder; the energy within. 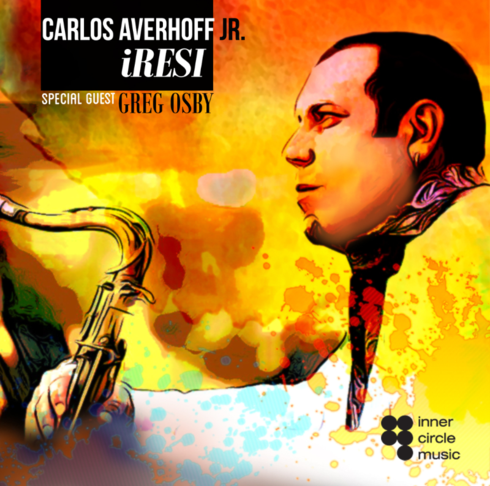 For myself, unfamiliar with Yoruba, I can only say this is quite a compelling album covering many aspects of Jazz – past, present and future – Averhoff Jr has a lovely Hank Mobley sound – his tribute to his wife Alina must, in years to come, rank alongside the great ballad performances. We’ve got Bossa, Latin – you name it, it’s here. He can swing like yesterday or tomorrow. Osby is more a tomorrow man with the rhythm section certainly from today. Check it out here – it’s good!